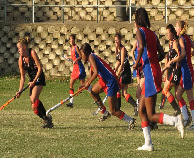 Pinetown Girls’ High was founded in 1955 as a co-educational, dual-medium high school on the site of our present school. In 1955, there were 120 learners in Standard 6 and 7 and a staff of 4. The headmaster was Mr H E Wiese . From 1955 until 1977, the Headmasters were Mr Booysen, Mr E T Lewis and then Mr D G Nourse. In 1973, the Senior Secondary (Standards 8, 9 and 10) and Junior Secondary Phases (Standards 6 and 7) of the school were separated. 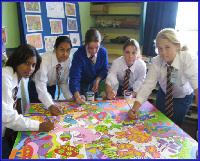 In 1974 Gelofte Hoerskool was established and Pinetown Secondary School became an English-medium school. As Pinetown grew and the numbers increased steadily, parents were consulted and a decision was taken to separate the high school into one for boys and one for girls. 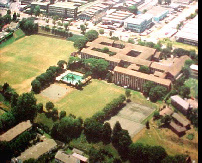 Pinetown Girls’ High School came into being on 1 January 1978 with Mrs J E Biggs as the first headmistress. There were 535 learners and 42 staff members in 1978. Mrs Biggs retired in 1994. From July 1997 until September 2009, the school was under the leadership of Mrs J Moller, who has officially retired. 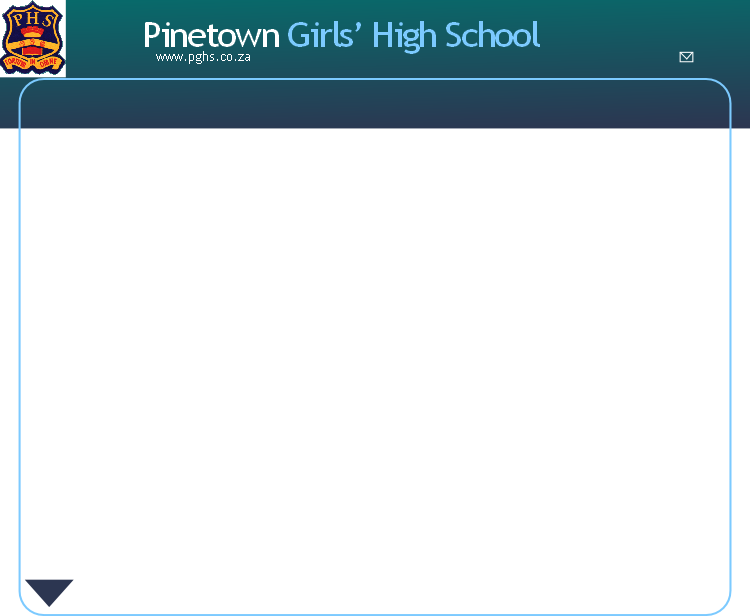 Pinetown Girls’ High is currently led by principal Mrs C Pretorius. She is very capably assisted by Ms P Tedder and Ms S Njapa.